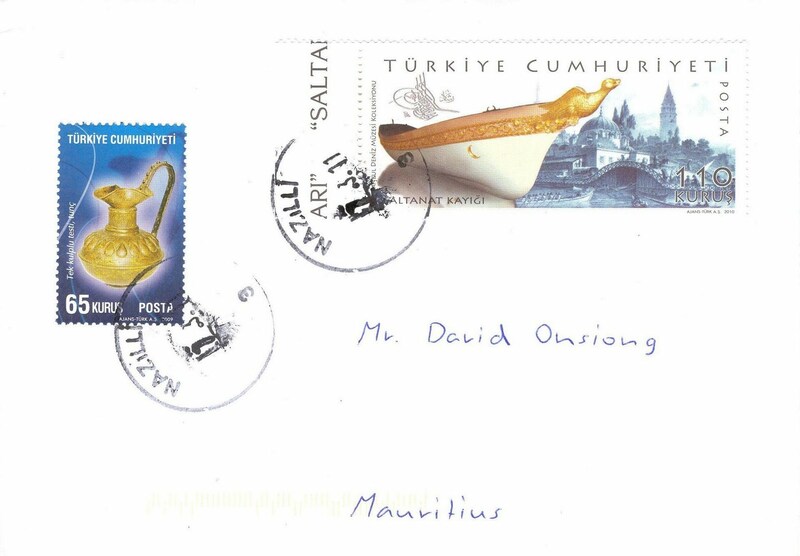 Another mail from Turkey, but this time it's from Vural. Thx a lot! :) The 65 kurus stamp represents a single handle pitcher made of bronze while the 110 kurus stamp portrays a Saltanat Kayigi (barge in English). This traditional Turkish barge forms part of the collection of the Istanbul Naval Museum.